It will come as no surprise to you that I spend quite a lot of time in the kitchen! Far too much of that time is spent baking and I have amassed quite a cookery book collection to feed my habit. But as much as I like looking through books (and yes, I often take them to bed to read! ), I find they can be a little bulky in the kitchen. I’m also fairly messy when I cook and my poor books take the brunt of this. 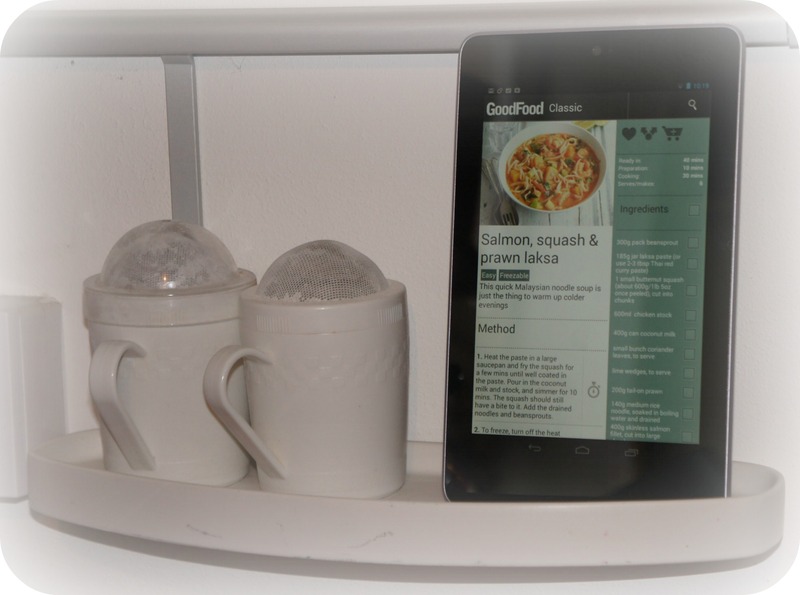 When I received my Nexus 7 from Argos to test out in the kitchen, I was interested to see if it could be a good alternative to following recipes in books. The Nexus 7 is a fairly small tablet with a 7” screen. This proved ideal to pop on the little shelf in my kitchen so that the recipes were eye level and well away from spills and splashes. I also found the screen size was reasonable for following recipes – you always have the option to zoom in. Just watch those sticky fingers on the screen! 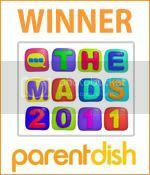 There are loads of great cookery apps and websites out there so you’re guaranteed to find what you are looking for. Some of my favourites are the BBC Good Food app, Food Planner (which is great for planning out meals and creating shopping lists) and Big Oven (which is an American app but has loads of fun recipe ideas). I also love the fact that I can look up video tutorials and follow them whilst I’m baking or cooking – ideal for those tricky techniques that you want to try out but aren’t entirely sure how to go about it. As the tablet has WiFi, it’s happy to connect to the internet in my kitchen and I’ve found surfing Flickr and Pinterest to be a fantastic source of inspiration, especially when I am looking for cake decoration ideas. There is so much creativity out there on the internet and with the Nexus 7, I can have it all at my fingertips in the kitchen. I can’t wait until I can try out some of the ideas I’ve found for my Christmas baking! Post made in collaboration with Argos. you are right, i often do the same take cooking recipes books to kitchen and most of the time something happen to them, i have nexus 7 i will use it from now on, btw awesome blog.